Salmensuu cottage is situated by a strait, just where a lake Puula’s ridge opens up. The views are beautiful. The yard is a slightly inclining slope and is child friendly, and so is also the beach. Excellent fishing possibilities starts from the own pier. The populations of pike, perch and bream are especially strong, but there are also possibilities to catch trout and eel. Mushroom picking and berry trips can start from the corner of the cottage. In summer time you can pick blueberries, chanterelles and ceps, later lingonberries and other mushrooms typical for Finnish mixed forest. So you can get real local food all the year round from the lake, and during summer and autumn time also from the forest. In July you can also buy strawberries, potatoes, organic granola and marmalade directly from the farm situated some 600 meters away. Cottage Salmensuu is ideal for both families and groups of friends. The main cottage has three bedrooms, two of which are downstairs, one with a 120cm wide bed is upstairs. The upstairs’ lounge can also be used as a bedroom since it has separate beds for three. The kitchen is combined with a dining and living rooms. This open-plan solution enables spending time together even while cooking. The main cottage also features a well-equipped bathroom, one toilet and an electric sauna. The traditional wood sauna is situated in a separate sauna building by the beach. 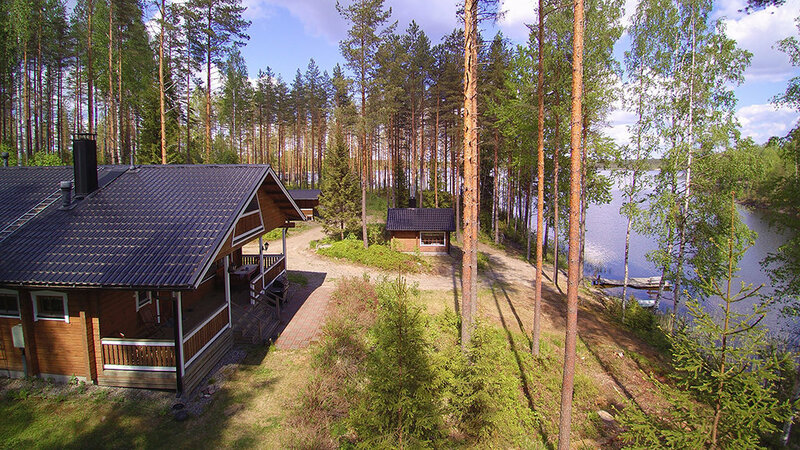 All in all, Salmensuu offers a great and comprehensive package that meets the needs of a cottage holiday in the Finnish Lakeland. Prices from: 782 euros/week and 336 euros/weekend. Final cleaning: 110 euros. Sheets & towel set 18 euros per person or you can bring your own. Between middle of June and late August, the minimum rental period is one week and the arrival/departure day can be any weekday.